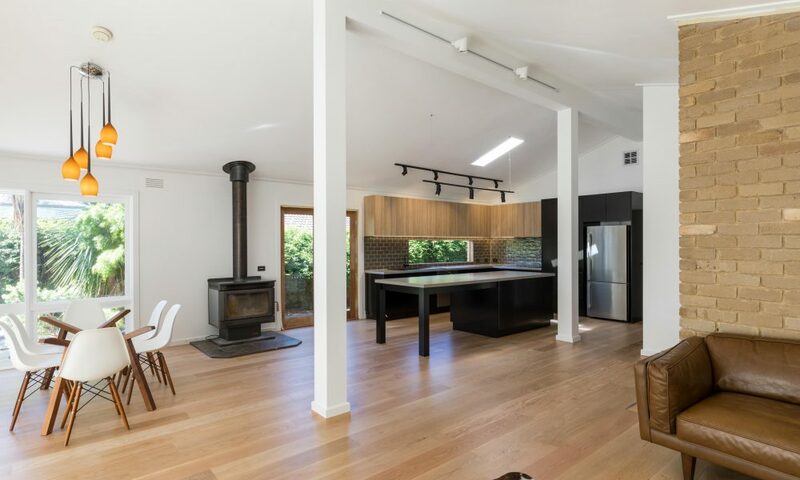 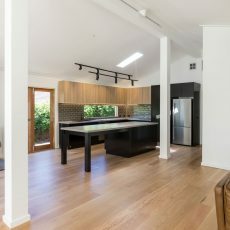 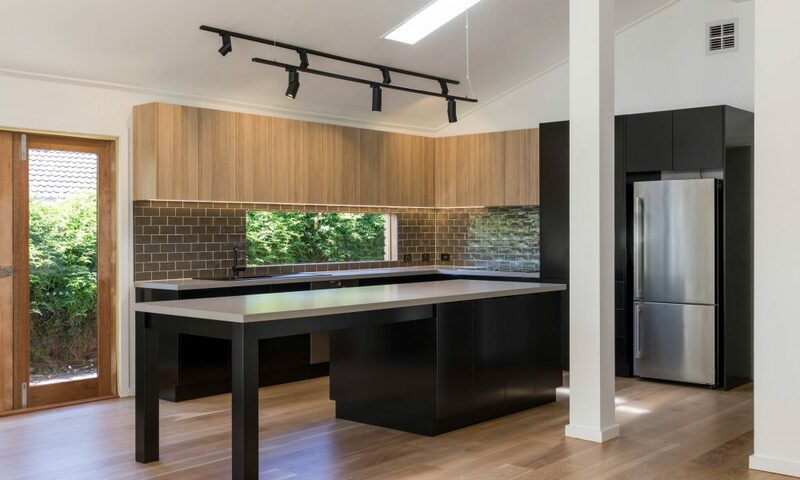 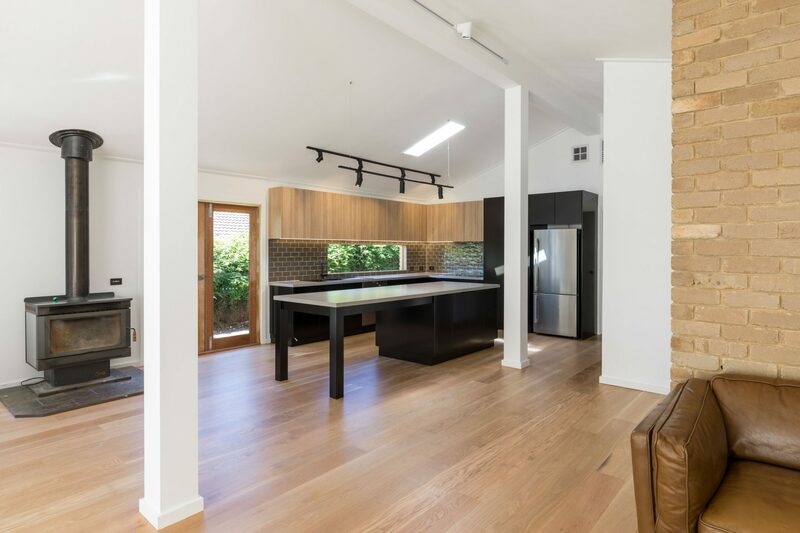 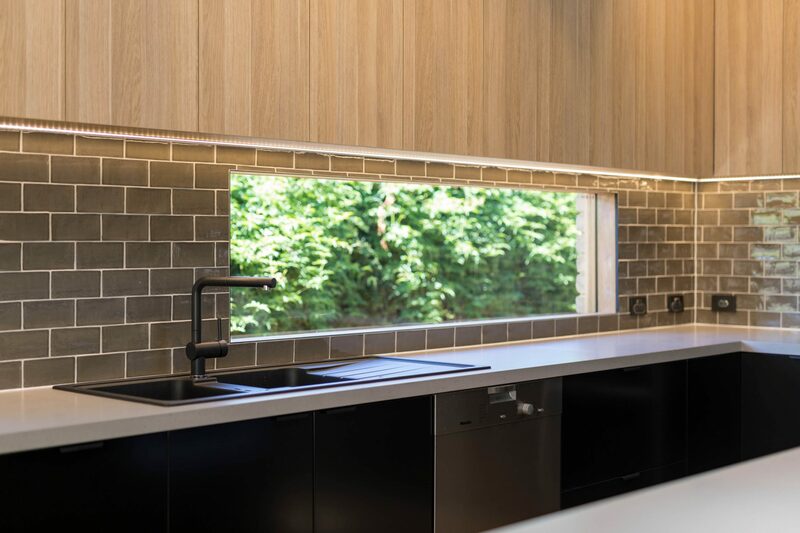 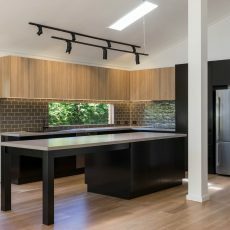 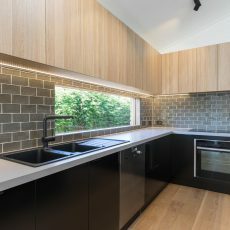 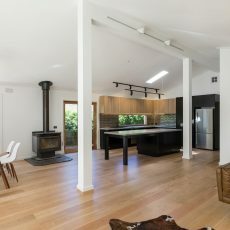 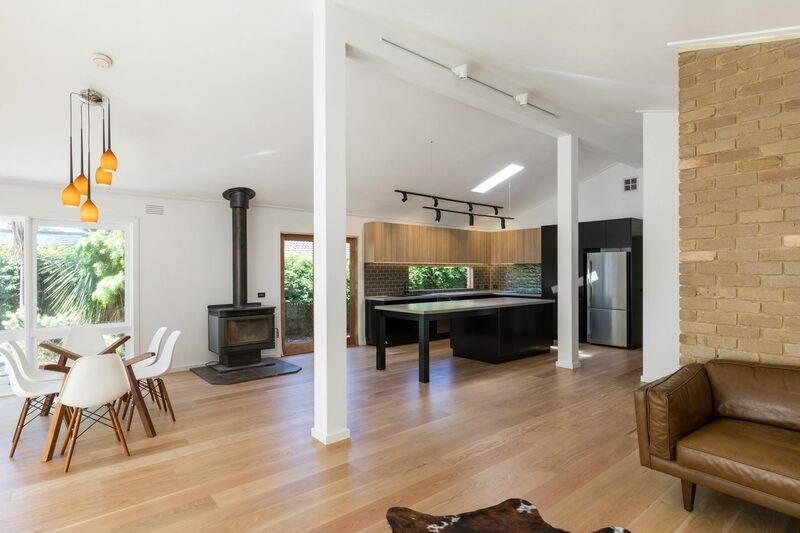 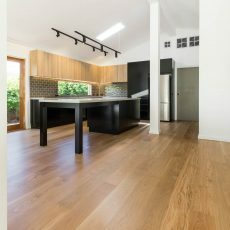 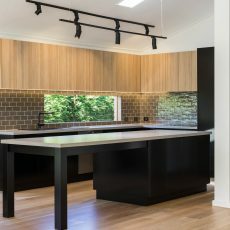 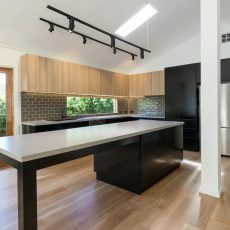 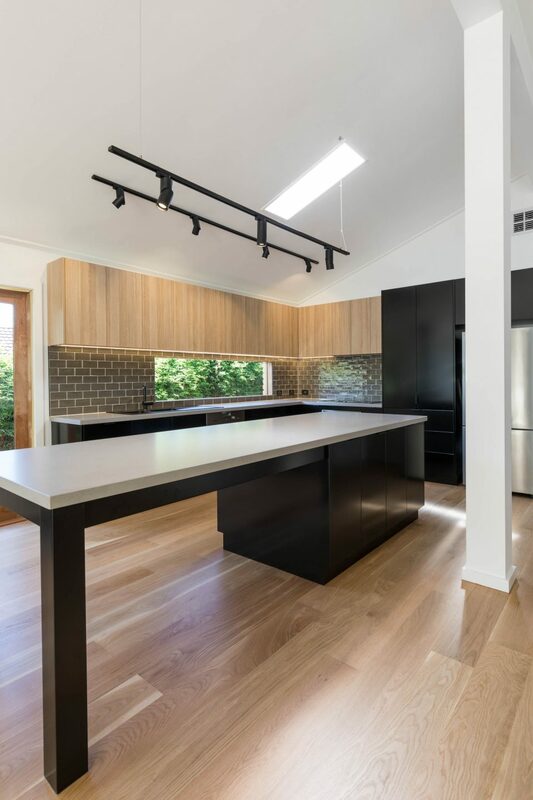 We are welcoming 2018 with a reveal of our latest kitchen renovation completed in Yallambie. 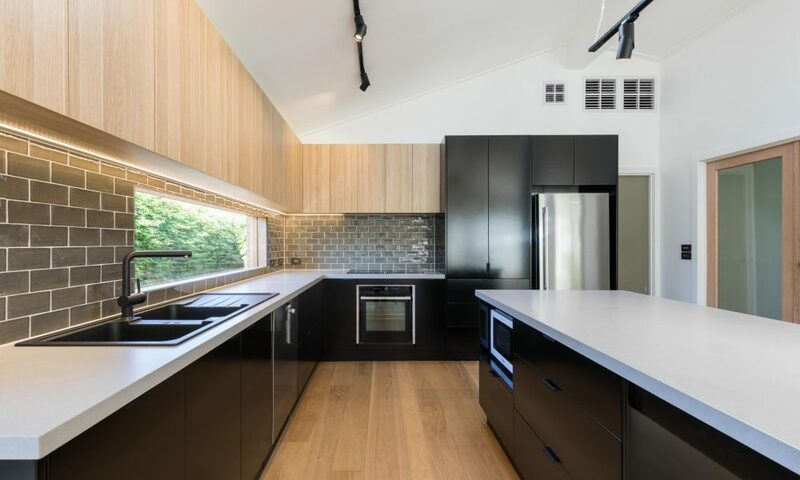 Our team of trades have outdone themselves again, from initial design to the finished project. 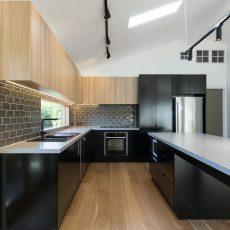 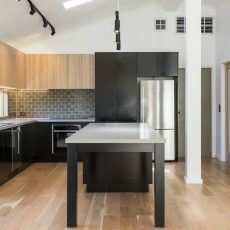 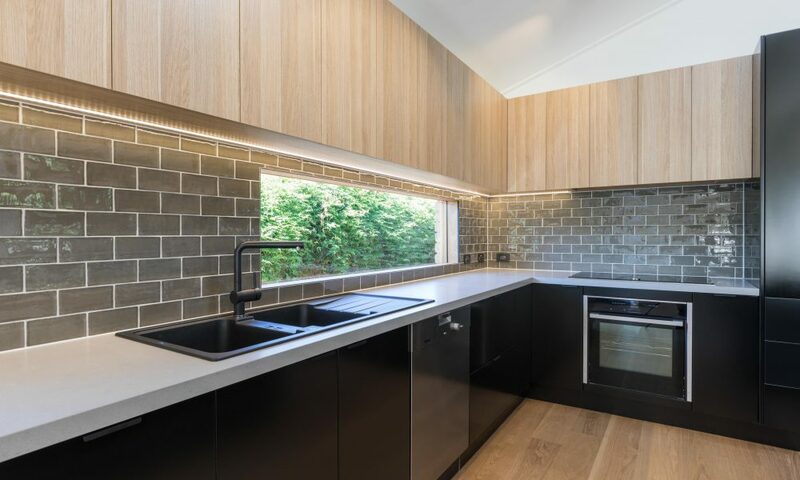 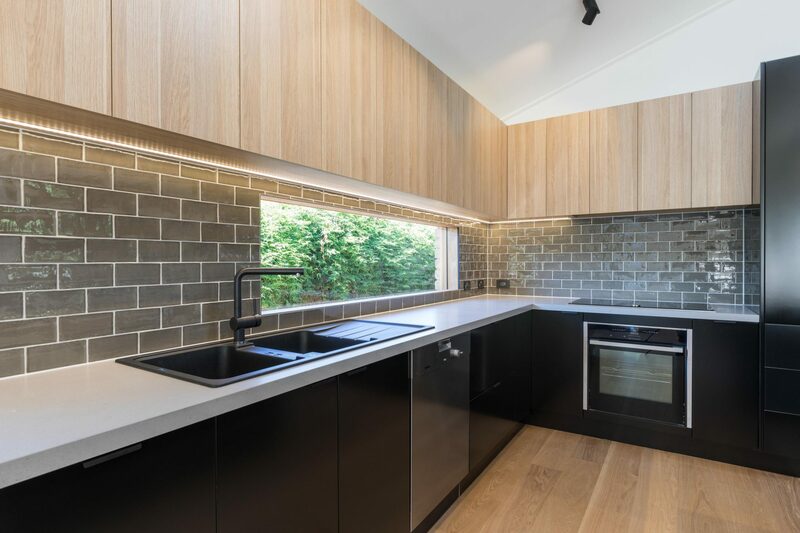 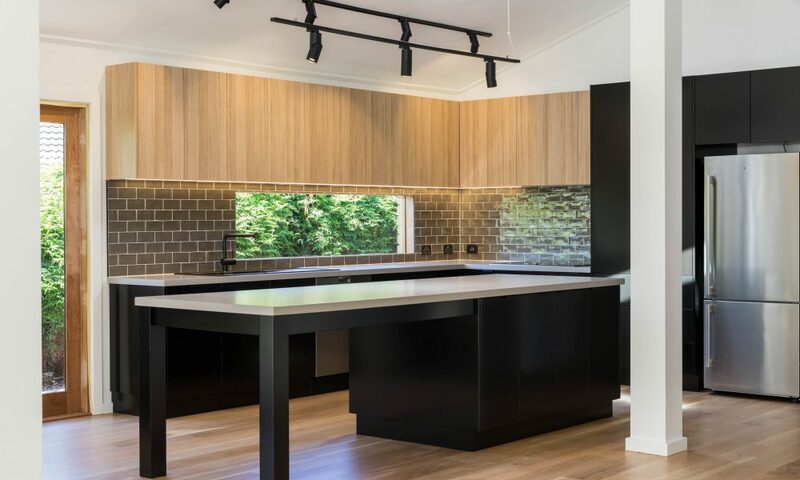 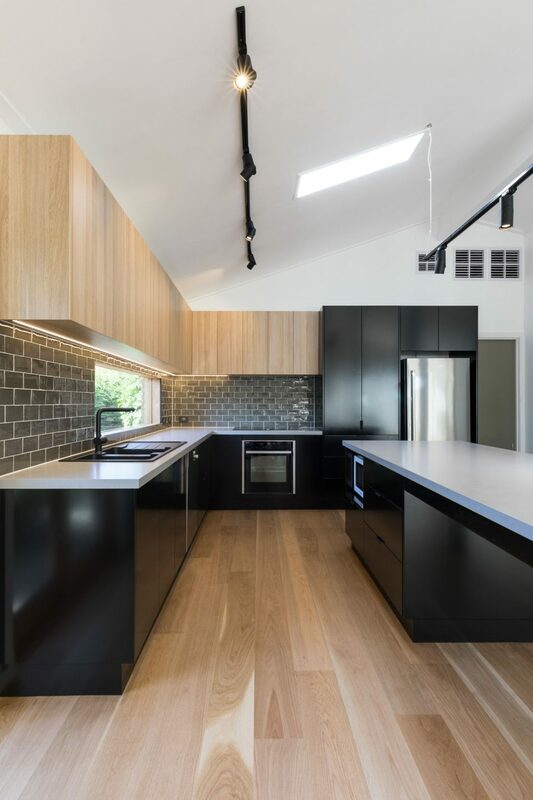 This spacious kitchen features custom kitchen cabinetry from H&H cabinets in two pack Dulux matte black, and Poltytec Ravine Natural Oak. 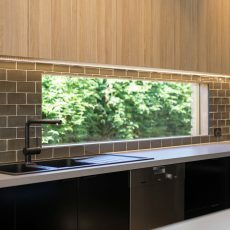 The cabinetry is finished off with subtle and streamline hardware from Blum and Hafale. 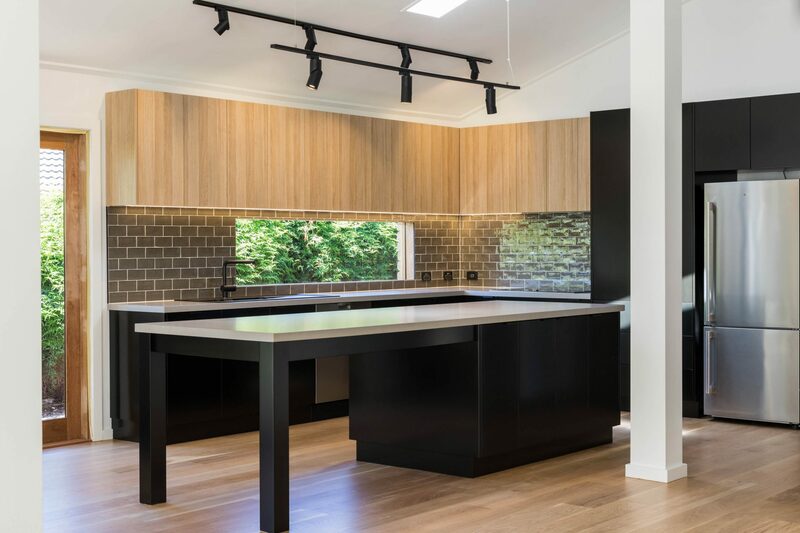 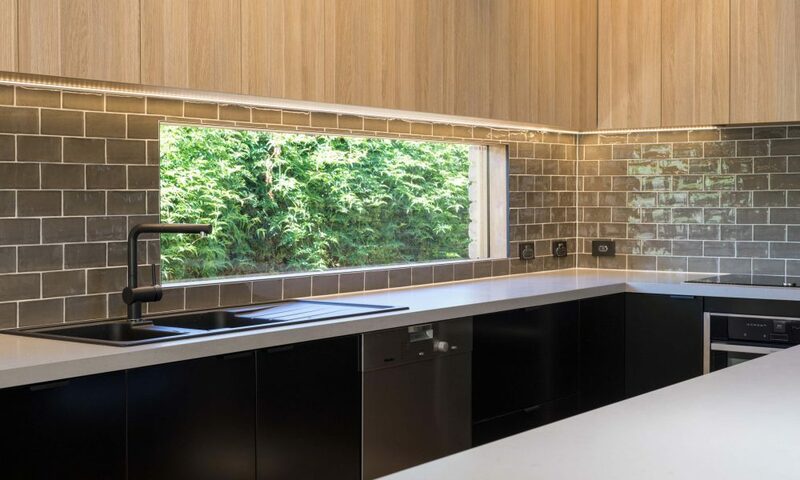 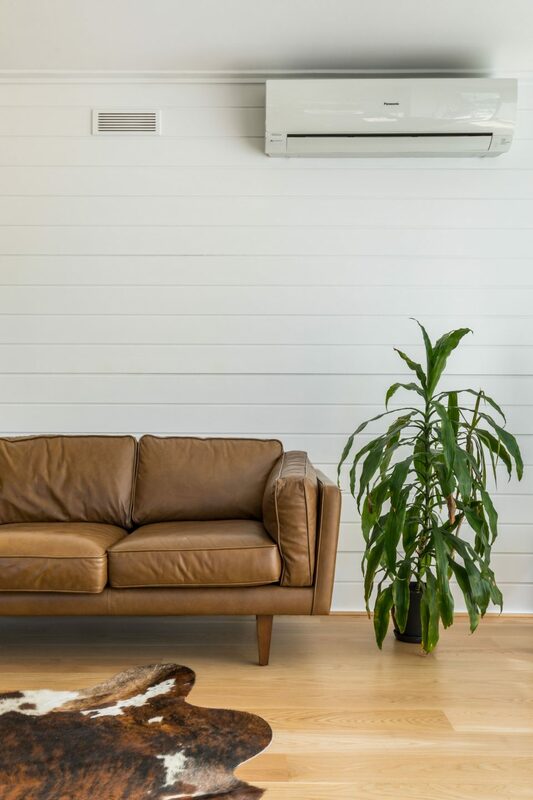 The MJ Harris Design team was able to create a statement by combining contrasting colours, tones and materials and we, and the clients, could not be happier with the outcome. 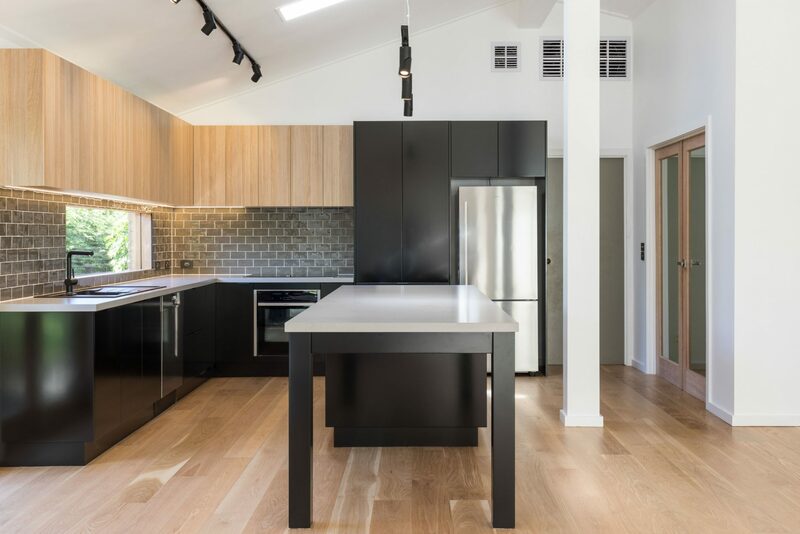 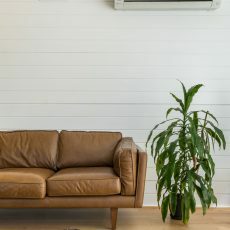 New appliances include a stainless Samsung fridge, Meile dishwasher and new Qasair range hood, all installed by MJ Harris Plumbing and MJ Harris Electrical. 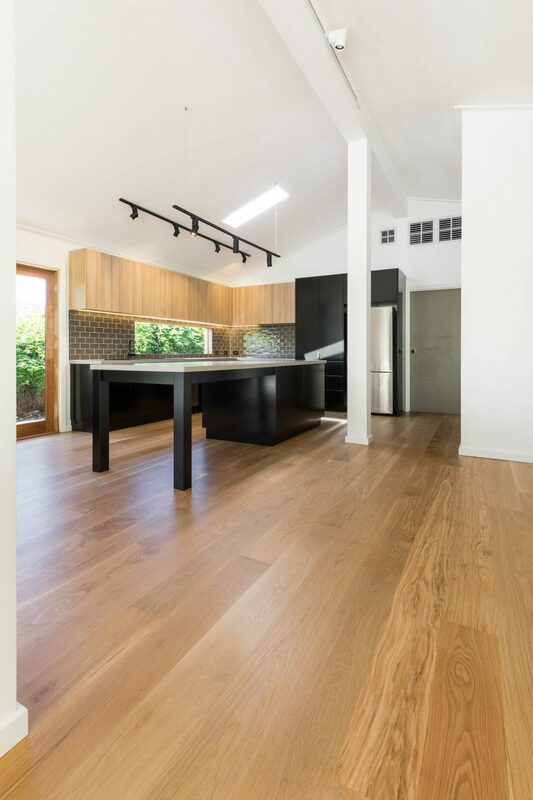 New Solid American Oak flooring was installed throughout the home as well as Velux skylights by MJ Harris Carpentry. 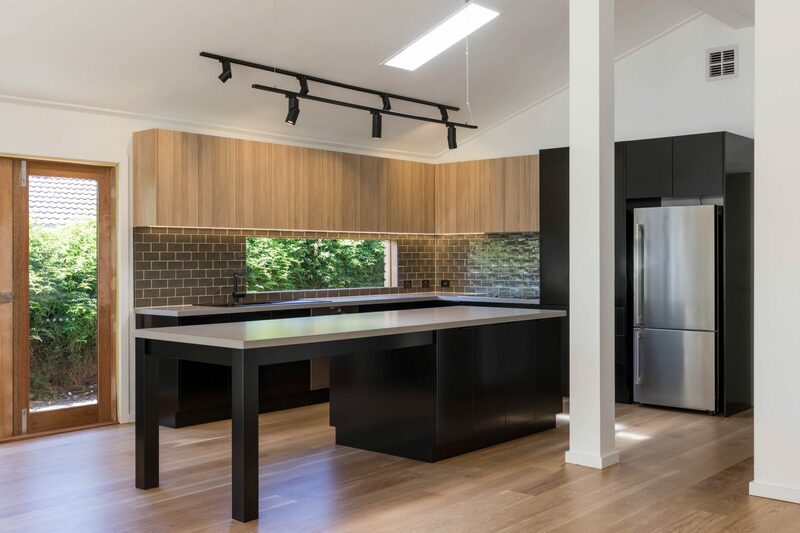 Matte Black track lighting by Beacon Lighting and switches by Clipsal all installed by MJ Harris Electrical.